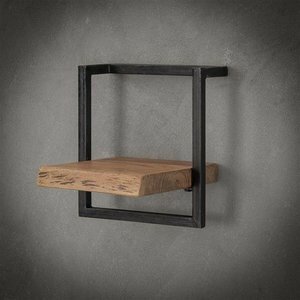 This Jax wall shelf is executed in a 26 cm wide wooden acacia shelf, attached to a black powder coated steel frame. 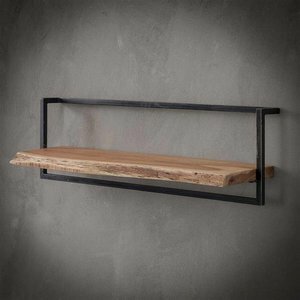 The shelf has a sturdy, sanded tree trunk shape at the ends. 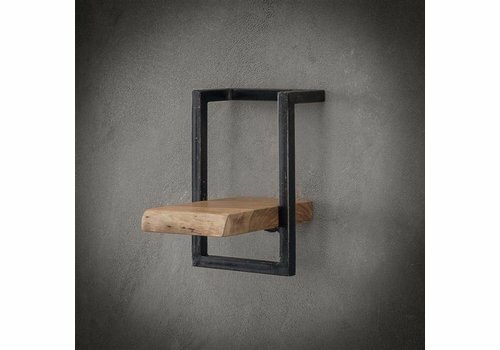 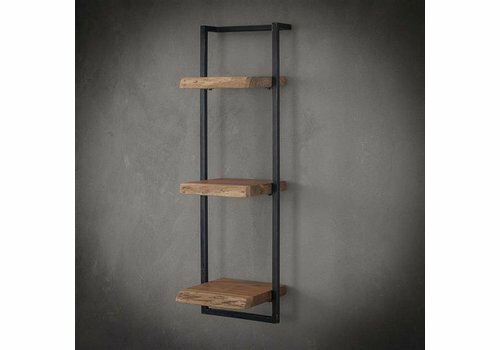 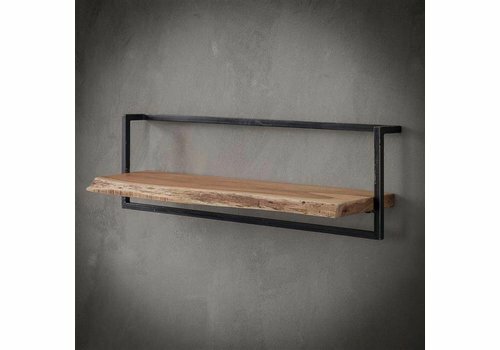 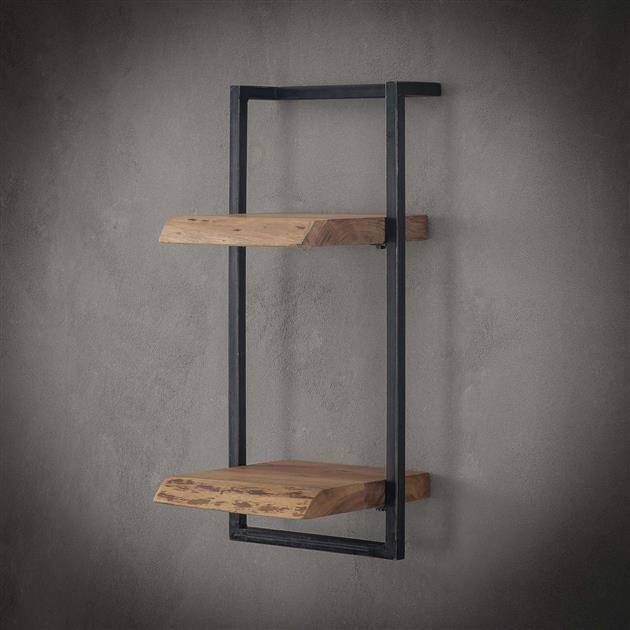 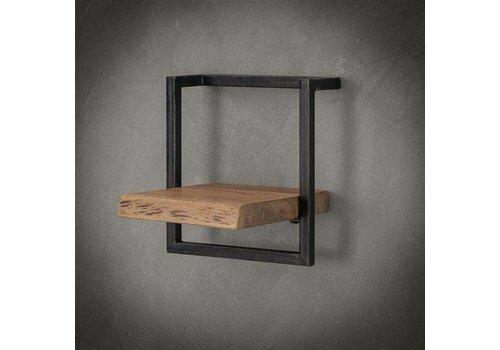 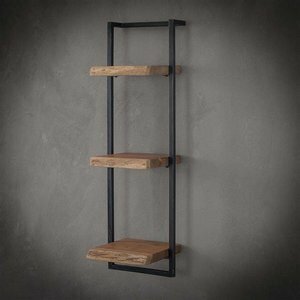 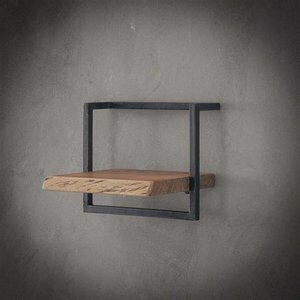 This Jax wall shelf is executed in a 30 cm wide wooden acacia plank, attached to a black powder coated steel frame. 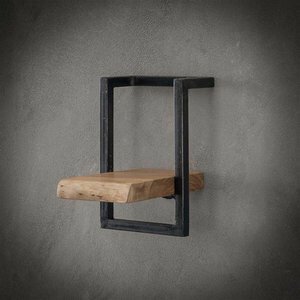 The plank has a sturdy, sanded tree trunk shape at the ends. 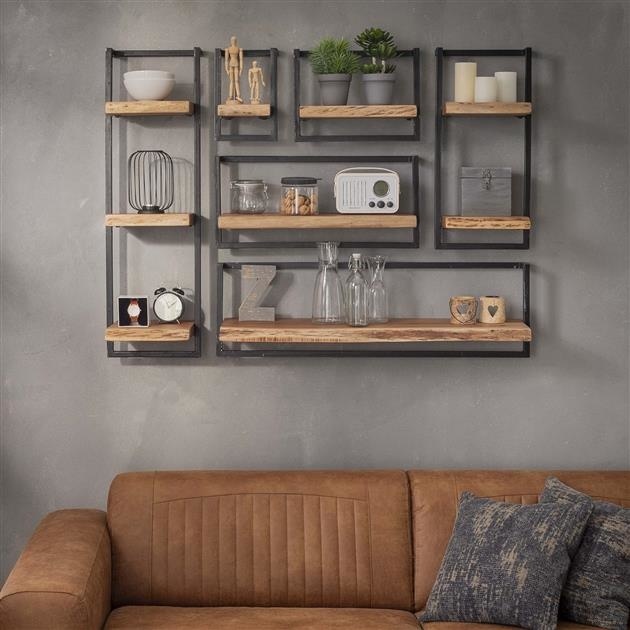 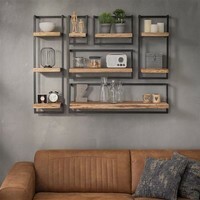 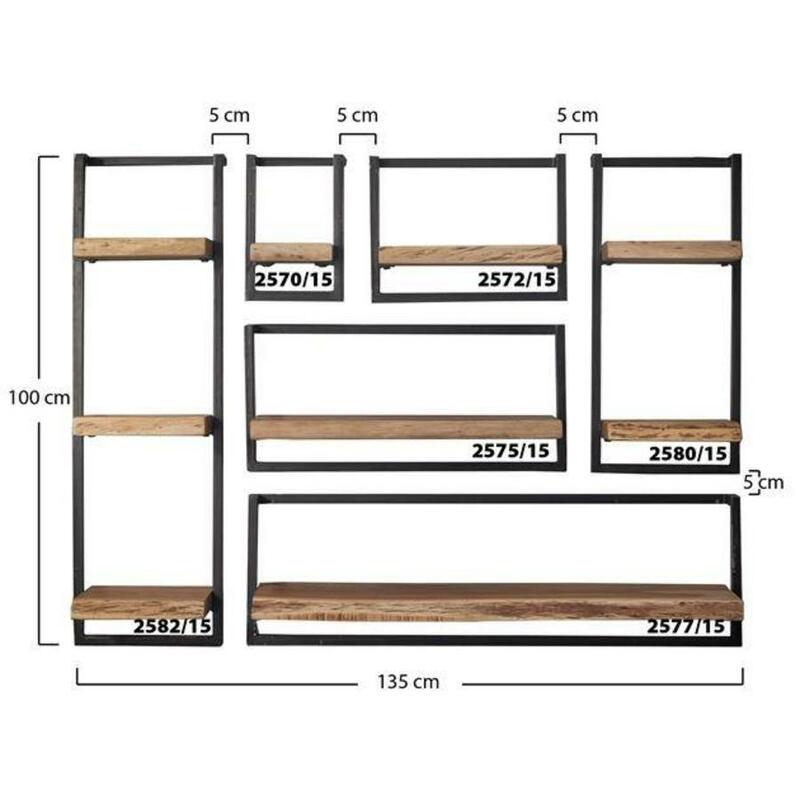 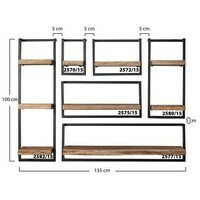 This wall shelf is part of the complete set of wall shelves, so that different decorative shelves can be made. 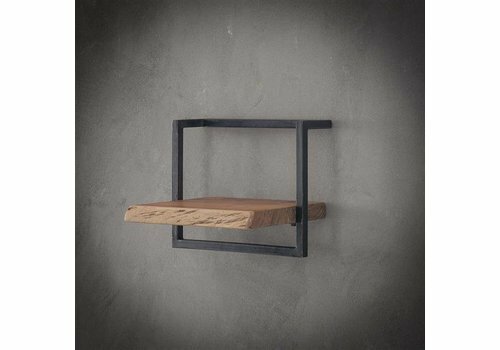 The wall shelf can easily be mounted on the wall with two fastening eyes.